Find our top Donors/Dams here. 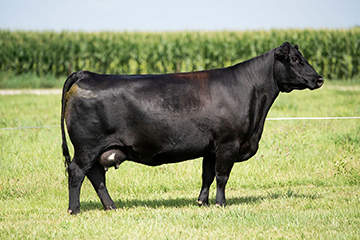 At Kiesewetter Angus, we raise quality Angus cattle for purebred, commercial or club calf producers who want sound, functional breeding stock that will improve udders, fertility, quality and longevity. 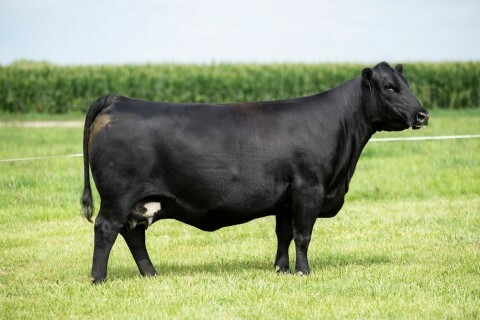 Our herd is based on the maternal excellence and performance of some of the best Angus herds in the world including Musgrave Angus in Griggsville IL, Kramer Angus in Farina IL, Mohnen Angus in White Lake SD, Schaff Angus Valley in St. Anthony ND, Top Line Farms in Tremont IL, Lynnbrook Farms in Williamsfield IL, Janssen Angus in Earlham IA and Montana Ranch in Bigfork MT. Description: Acquired as a heifer calf from the Lynnbrook Farms performance herd in Williamsfield, IL. She has a very strong maternal pedigree featuring Bismarck, 004, VRD and TC Dividend. Her perfect udder and beautiful phenotype are what give her that classic Kiesewetter maternal look. She has a 2017 bull calf by Kramers D9 that will make our 2018 maternal performance bull sale. Her 2018 natural heifer calf by SAV Renown will be retained as one of our top replacements. Her progeny have earned her a spot on our donor cow roster, she will be flushed to SAV Cut Above and Musgrave Stunner. Description: 6074 was added to our roster from the 2016 Top Line Farms production sale. She is sired by the balanced trait sire PVF Insight and is from the SAV Abigale maternal line on the dam's side of her pedigree. Her low-slung and wide-bodied dam sold for $24,000 to ZWT Ranch in Tennessee at the same auction. In her first show at the 2017 National Western Stock Show she was 4th in the Junior Show and was a class winner in the Open Show. 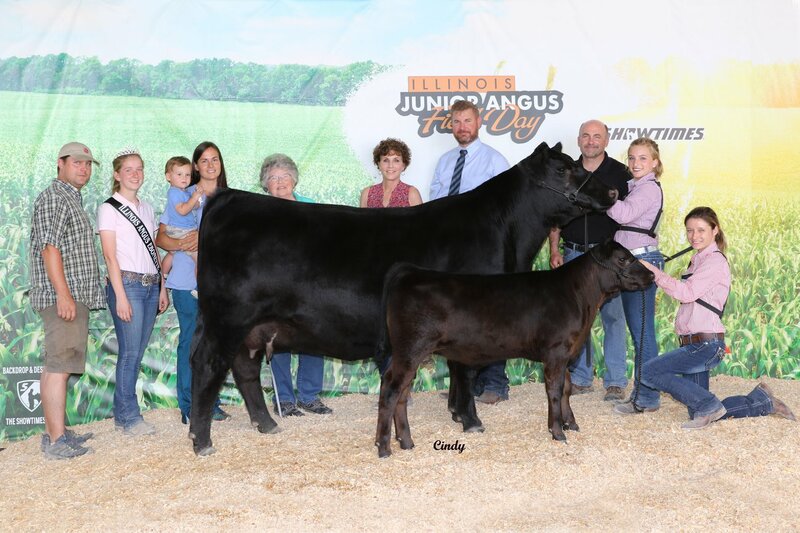 She was a class winner at the 2017 Eastern Regional Show in Louisville, KY and was chosen as the Supreme Champion with her first calf at side at the 2018 IL Jr Angus Show in Bloomington, IL. That same pair was chosen as the Res Grand Champion Cow Calf pair at the 2018 All American Jr Show in Louisville, KY. We think she can produce herd bulls, production females and maybe even some show heifers that look just like her. Description: 3001 was added to our herd from the 2017 Top Line Farms production sale as a featured donor cow prospect, we want to deepen the Abigale line of maternal excellence in our herd. Her beautiful phenotype, perfect udder structure and maternal pedigree will undoubtedly contribute to our goals of producing herd building Angus genetics and maternal performance bulls for our customers. Her 2018 daughter by Musgrave Sky High will be retained in our herd, she will be flushed to KB Max Out and SAV Cut Above.